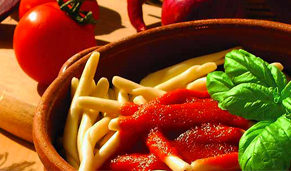 The Fileia is a typical product of the Calabrian Mediterranean tradition that is made by a simply mix. This product is obtained by winding thin sheet of pastry, made with hard wheat bran, flour and water, around a thin iron thread that it was not almost always anything else other than the stocking iron. After this operation the stocking iron was compressed pressing it and rolling up on the pastry board to lengthen and to thin the Maccaroni. 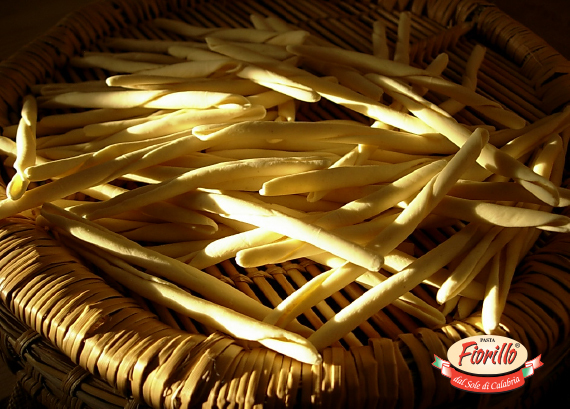 Maccaroni belong to the most ancient Calabrian tradition and could be considered the founders of the pasta that spread in all region of Italy from Calabria. Prepared with a mix durum wheat semolina and water, Fileja are modeled around to a thread. In Italy this pasta is appreciated with seasoned with rich juices of goat, steer or pig with grated salty ricotta.